Donors are superheroes who honor their commitment to saving a life! Since 2008, the “Get in the Game. Save a Life” program has produced 489 lifesaving heroes that have donated their bone marrow or peripheral blood stem to a patient in need. Most view marrow donation as a selfless, honorable, time committing act that a donor makes to give a dying patient the second chance at life they desperately need. Donors look at it as a gift! They embrace the opportunity to be someone’s cure and walk away from the experience as if they are the lucky ones. Jared was a happy college student, playing football as a fullback for West Chester University. 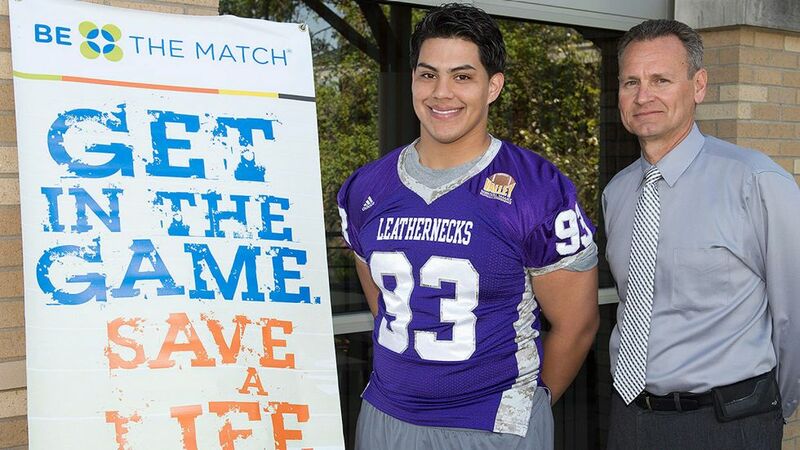 When his coach, Bill Zwaan, committed to host a “Get in the Game, Save a Life” marrow donor registry drive, Jared swabbed the inside of his cheek and officially joined the Be the Match Registry®. He didn’t think much of it once it was over. Click here to watch Jared meet his stem cell recipient. The odds of being a marrow donor aren’t as slim as one might assume, but the chance of having two donors from the same family, however; is rare! Meet Matt and John. 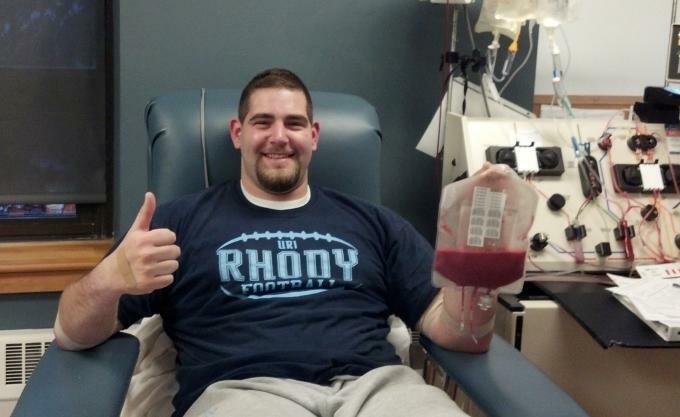 Two brothers from the University of Rhode Island football team, both are Get in the Game lifesaving heroes! Matt saved the life of a 42 year old man with a form of lymphoma. 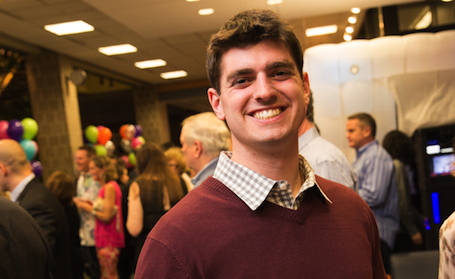 His response when he found out he was a perfect match, “Let’s go!” Honored with the unofficial award for donating enough stem cells for not just one, but two transplants in a four hour time period, Matt didn’t hold that title for long. Matt explains, “It was the highest count they had ever seen….until my brother.” As competitive as the brothers are, this was a title Matt wasn’t upset to loose. His younger brother John, was identified a few years later and gladly followed in his big brother’s footsteps. Click here to read more about Matt & John’s visit. Click here to read more about Jordan’s visit. 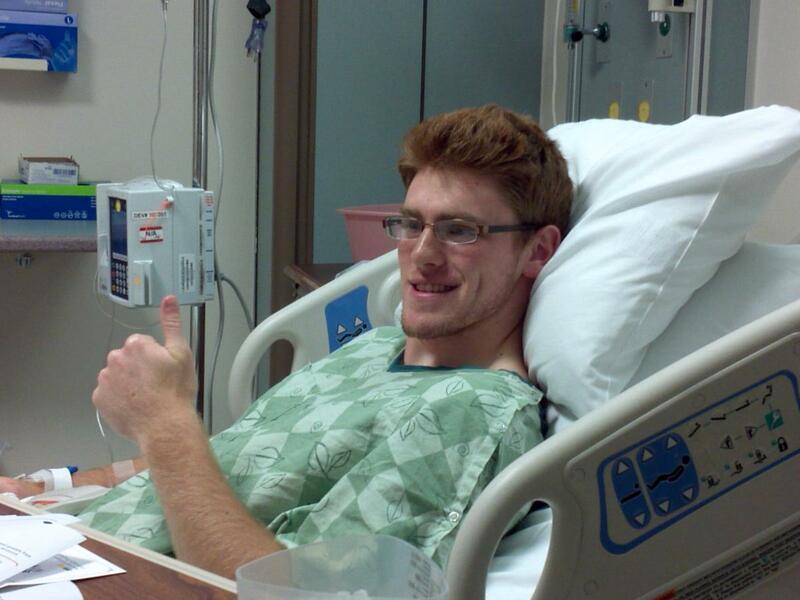 Brown University Football safety Matthew, got a call in his dorm room a week before finals notifying him that he was a perfect genetic match for a male patient who desperately needed a bone marrow transplant. While somewhat shocked to hear that he was a perfect match for a patient, Matthew never gave it a second thought. He was going to save a life. Click here to read more about Matthew’s experience.